I like to create table decoration from gingerbread. I don't have to store napkin rings in my house and I will have a new design for every occasion. I also made a video for the brush embroidery design. I used the same colors and design for both, still they look completely different, right? The third one has some toothpick roses and a little lace. 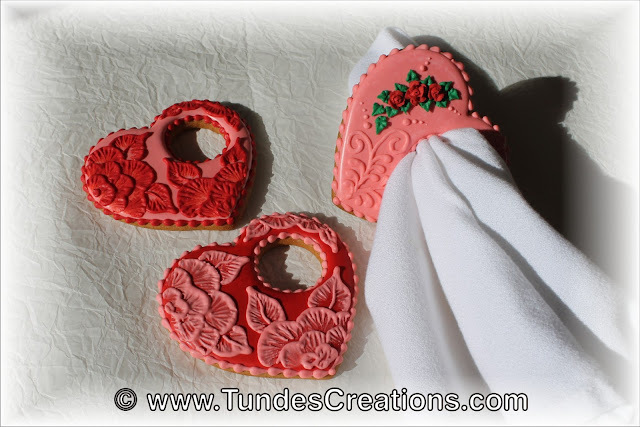 Will you make these for your Valentine's table?